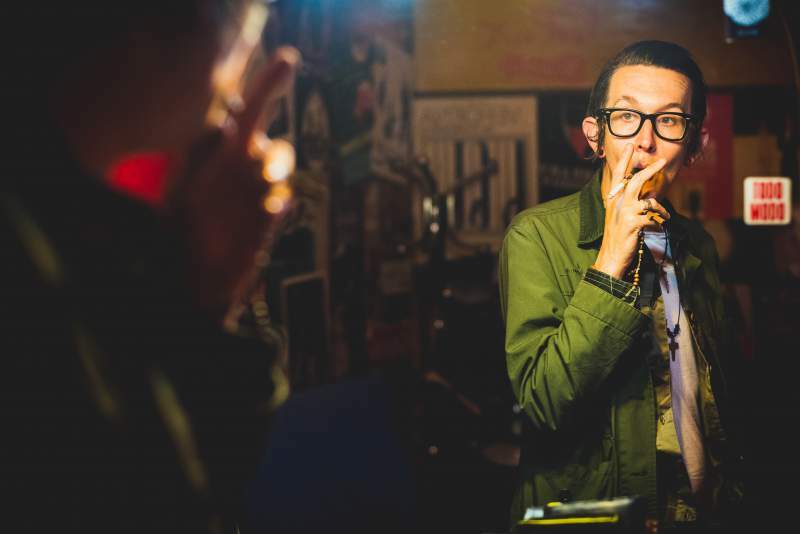 Micah P Hinson has for some time been one of the most compelling and occasionally troubling figures in Americana, with a life full of enough misfortunes for a fairly bleak blues song (drugs, near fatal car crashes and the like). Along the way, he’s released a series of often brilliant and always fascinating albums, the latest of which – Micah P Hinson Presents The Holy Strangers – is out this month on the reliably excellent Full Time Hobby label. Hinson describes it as a modern folk opera recounting the lives of a wartime family, full of births, deaths, murders and suicides. It’s an ambitious, sprawling double set recorded at home in Denison, Texas over two years on old analogue kit, incorporating spoken word interludes and a truly heartbreaking closing version of Kumbayah. Hinson is bringing the album to the UK this month, backed by a full band (last time I saw him it was just his wife on drums and ‘pushing his glasses back on his nose’ duty following a debilitating accident which left him needing sticks to get about), and plays Cluny 2 on Thursday 21st September.